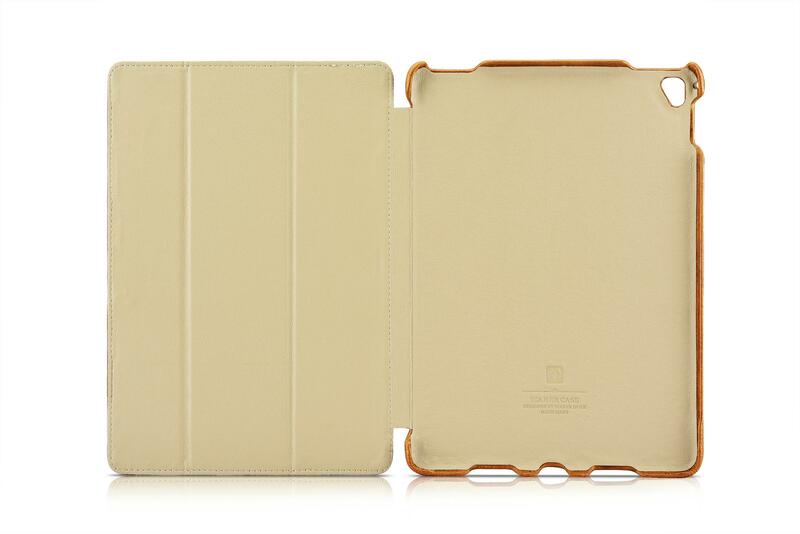 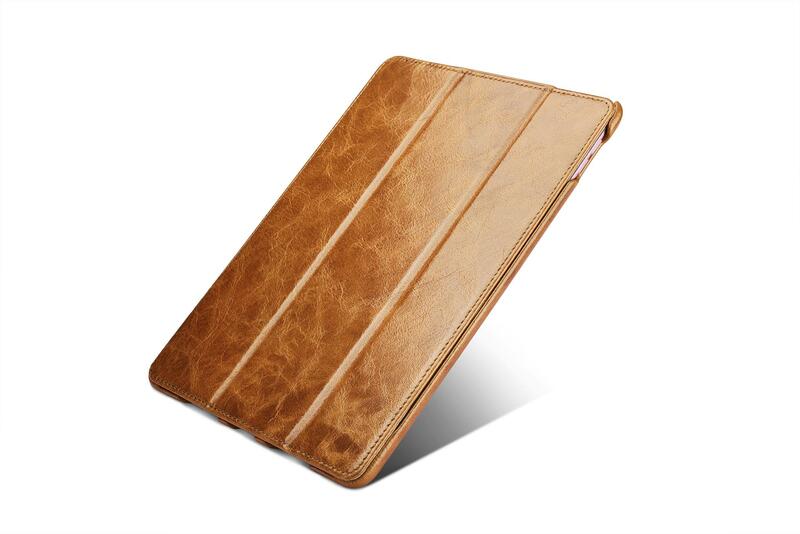 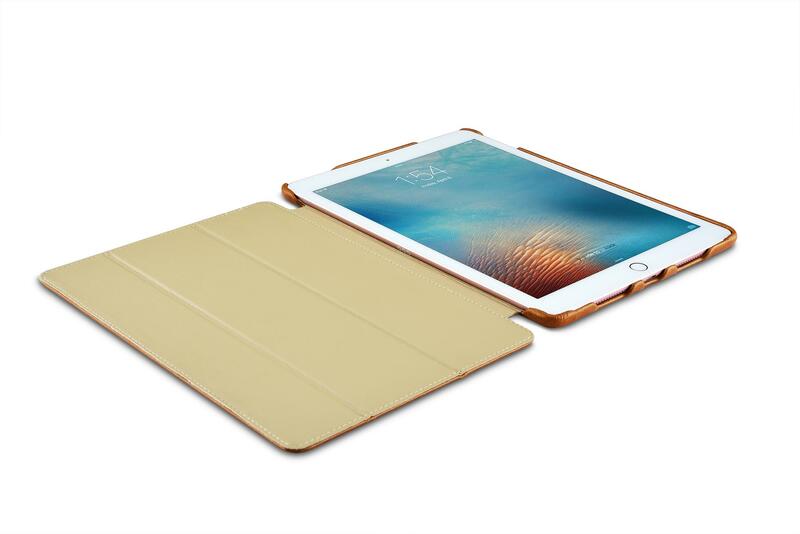 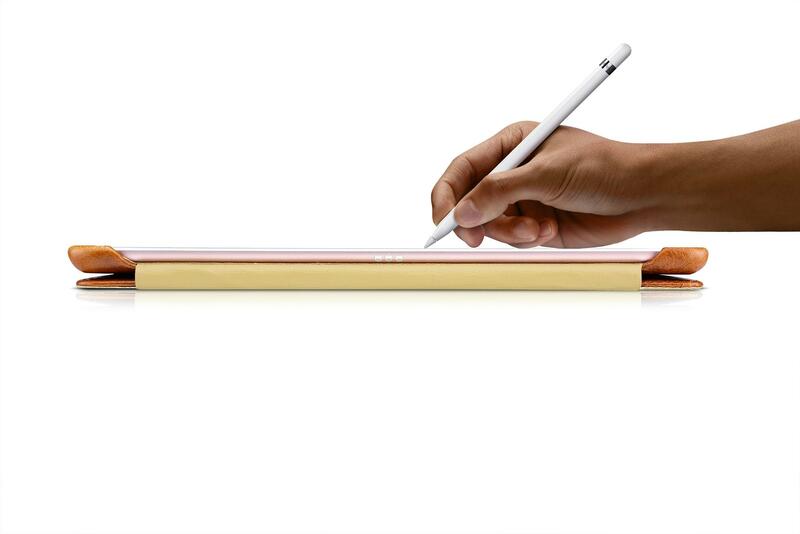 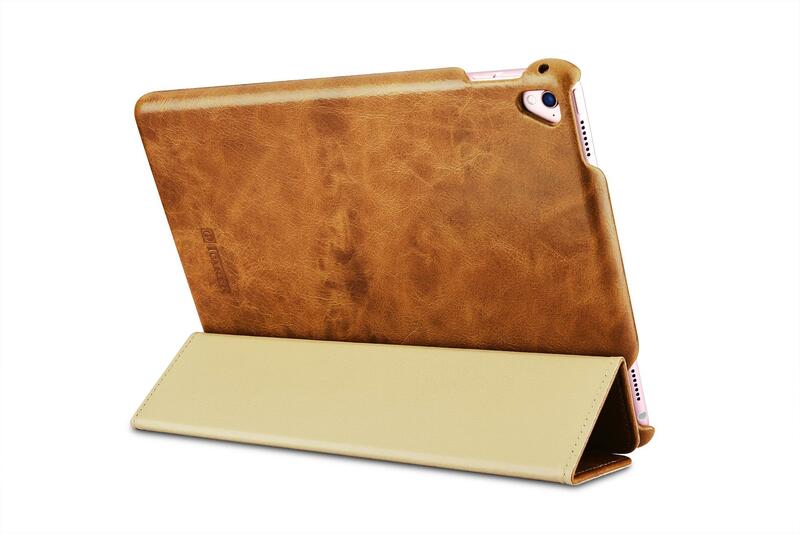 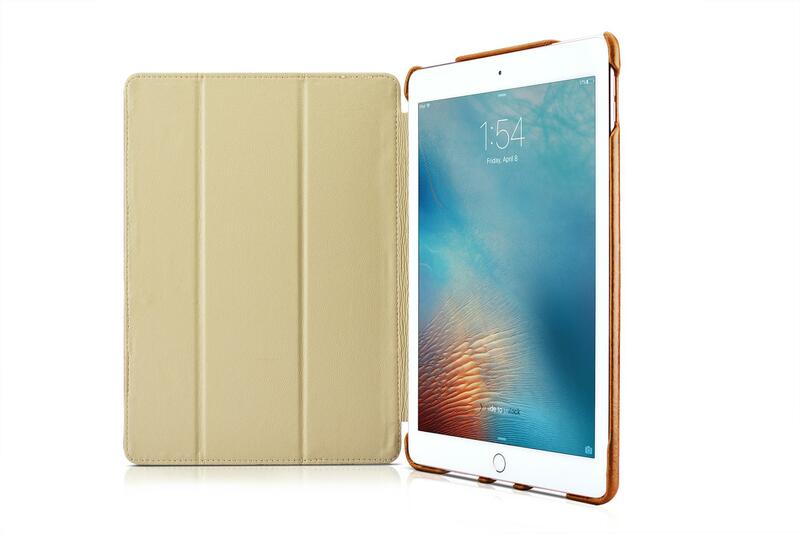 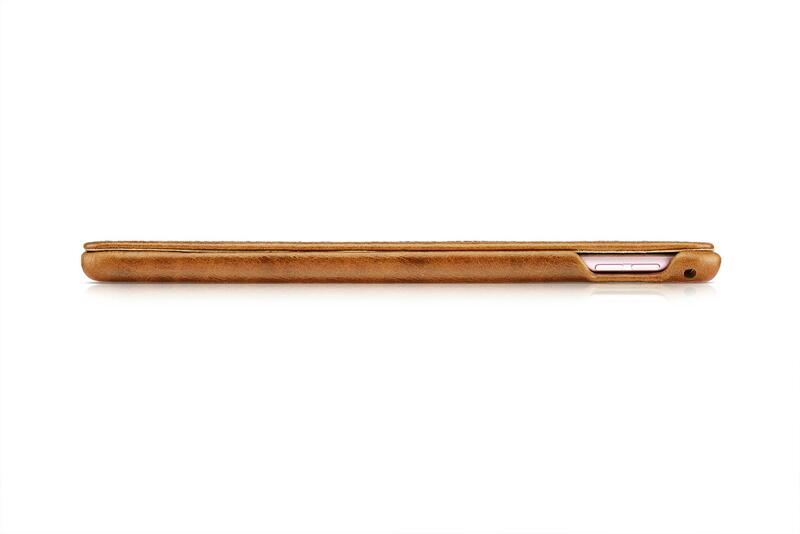 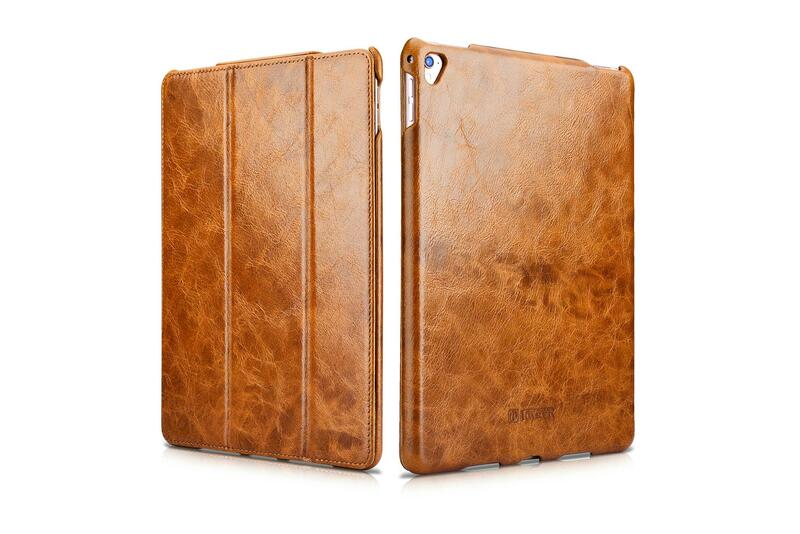 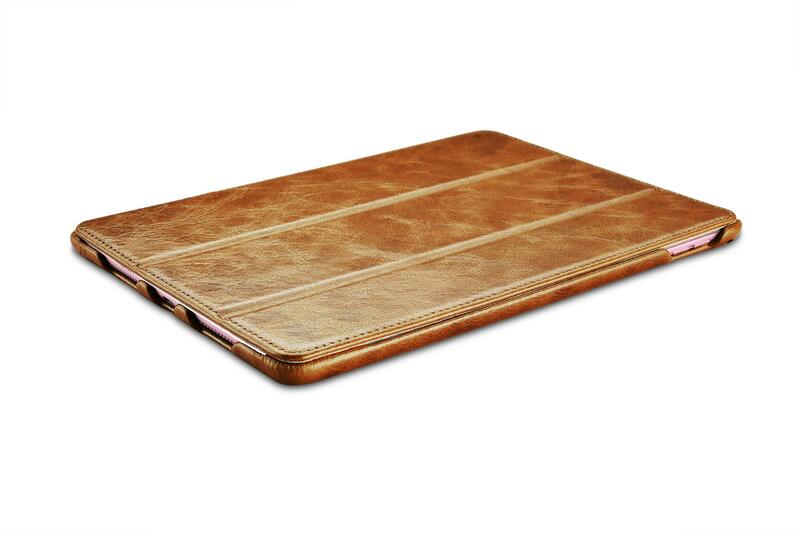 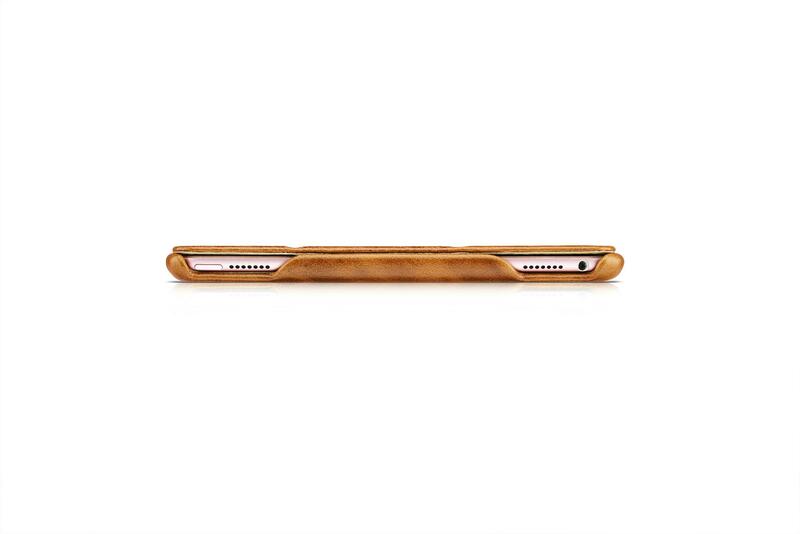 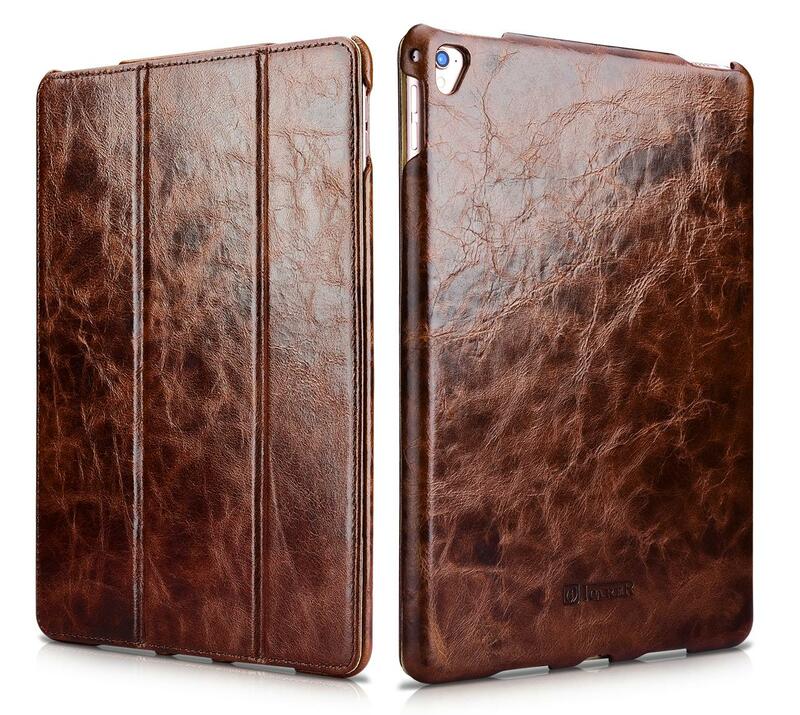 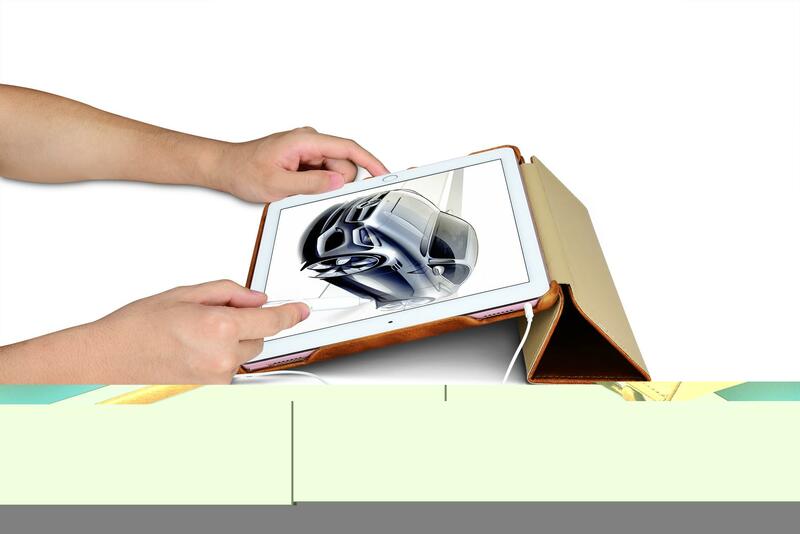 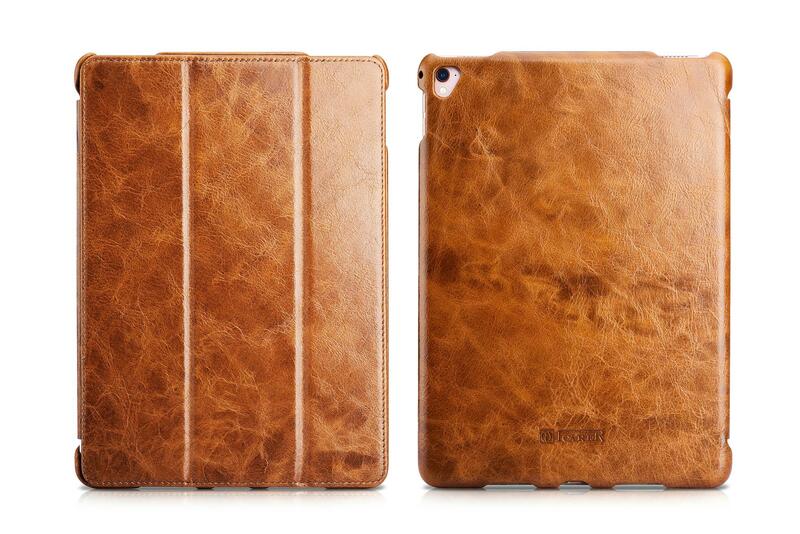 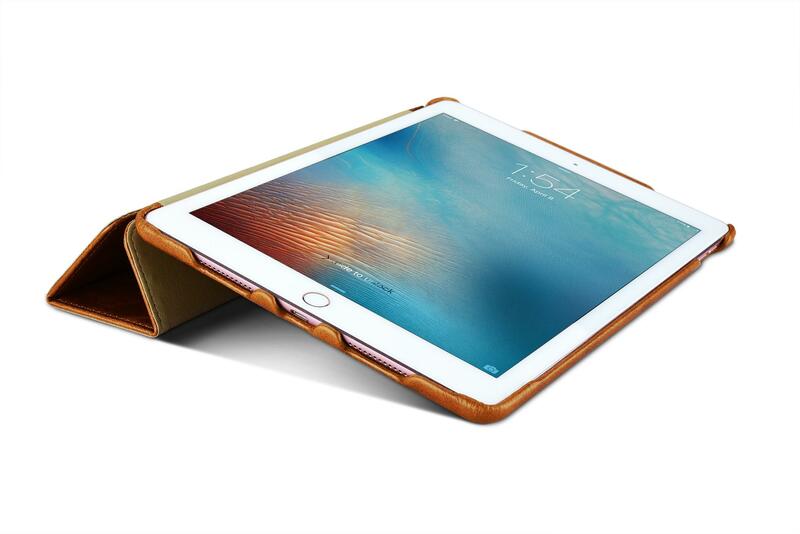 iCarer iPad Pro 9.7 inch Oil Wax Vintage Genuine Leather Folio Case is made of 100% genuine cowhide leather, with purely handmade by innovative design. 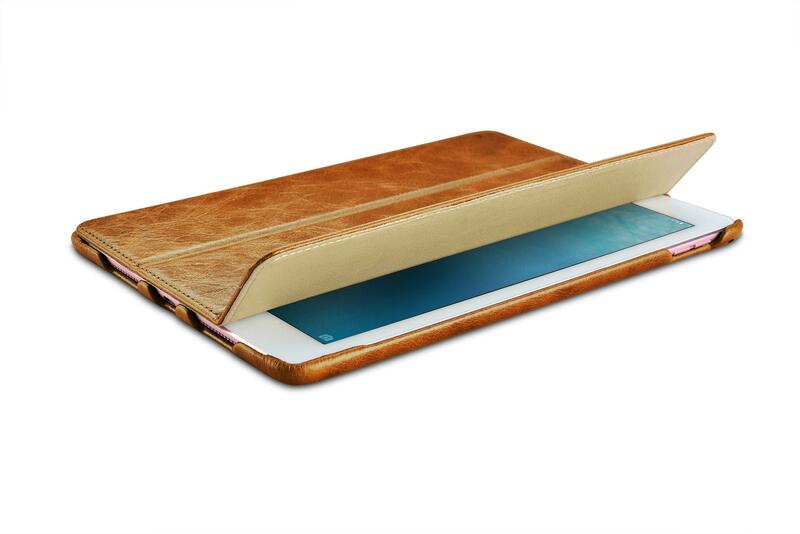 Each piece of natural leather has its own veins and pores, Interior pattern is made of micro fiber leather which is anti-dirty and waterproof. 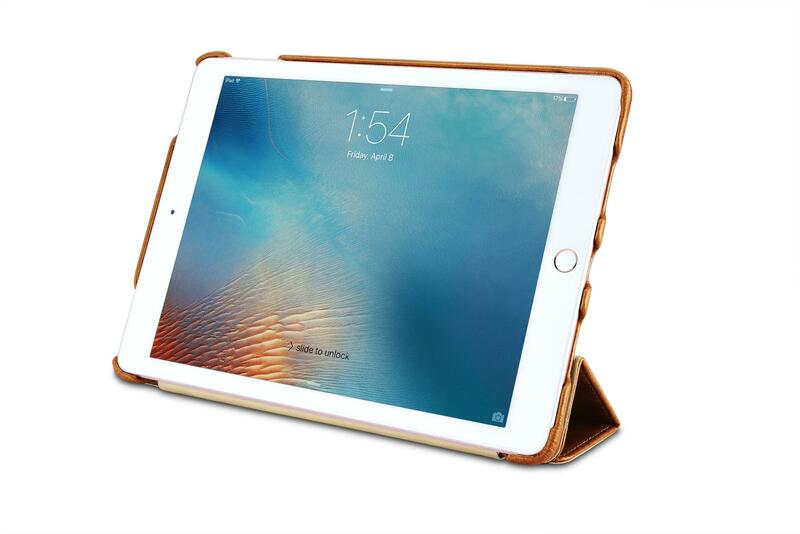 Side open design with easy access to all control buttons without removing the case, Magnets on the back, when folding the case, it can be attracted by magnets.